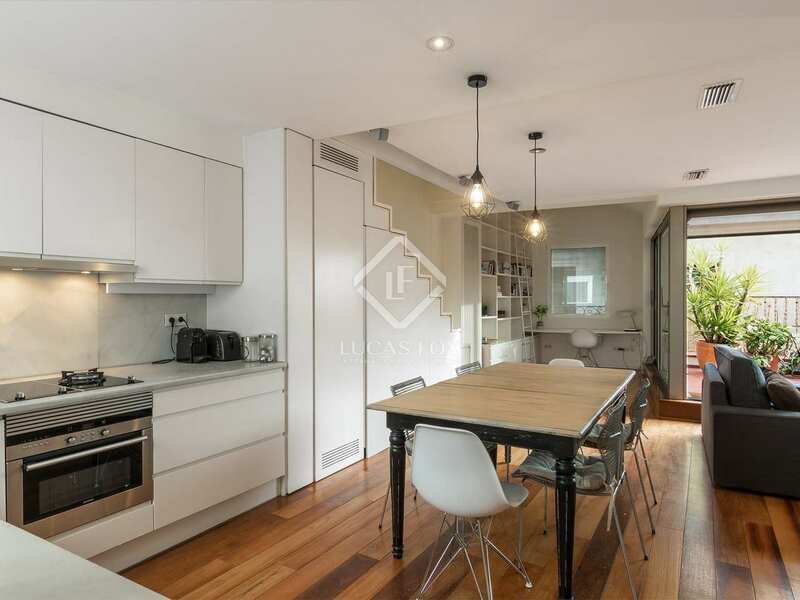 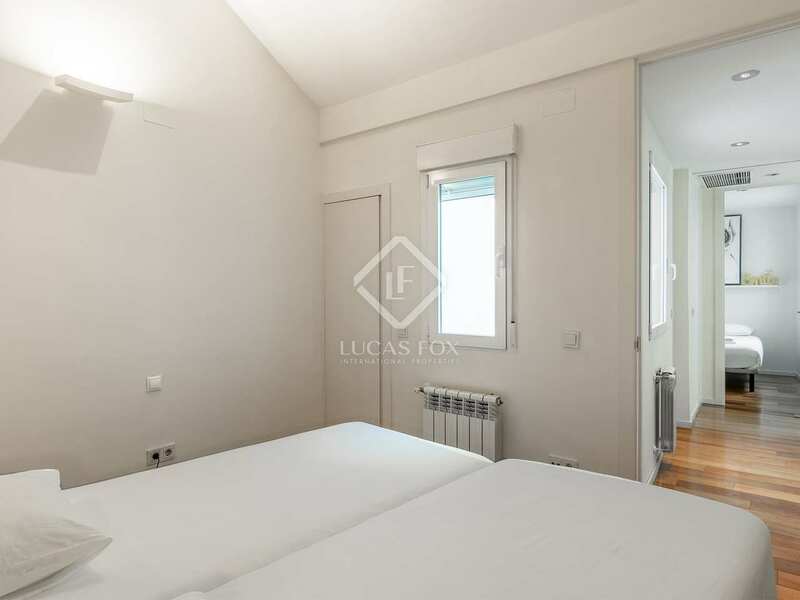 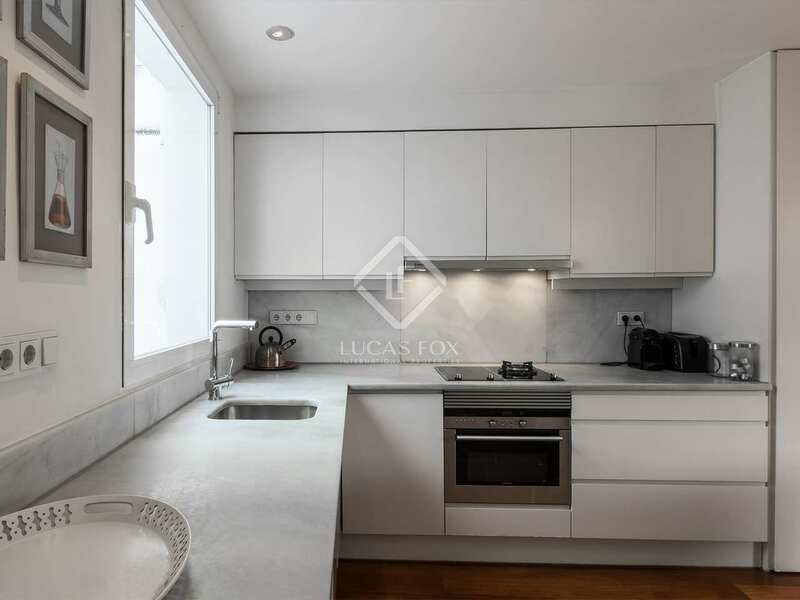 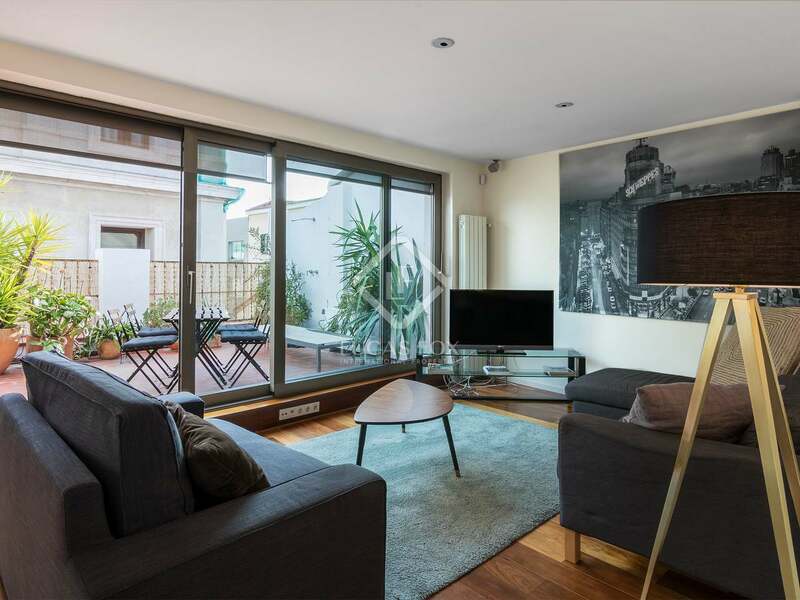 Magnificent property for rent in one of the most characteristic areas of Madrid, with 3 bedrooms, 3 bathrooms and top quality finishes. 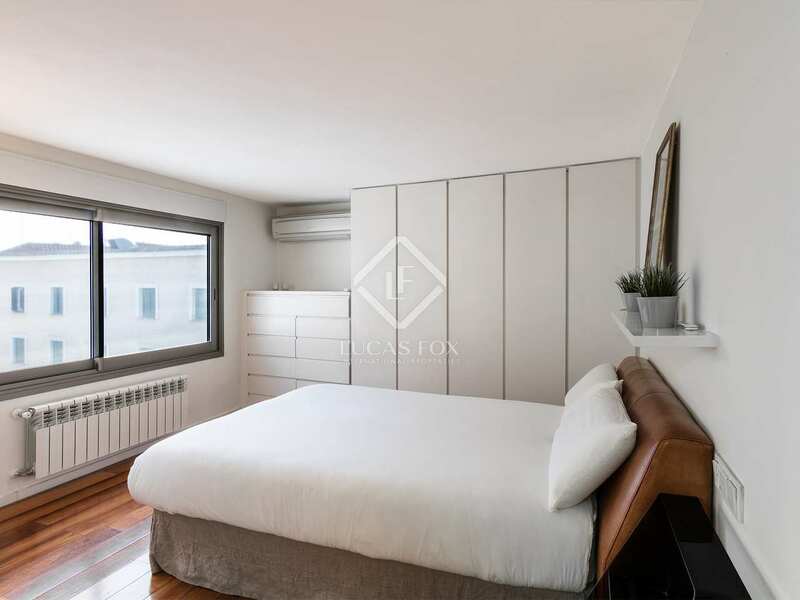 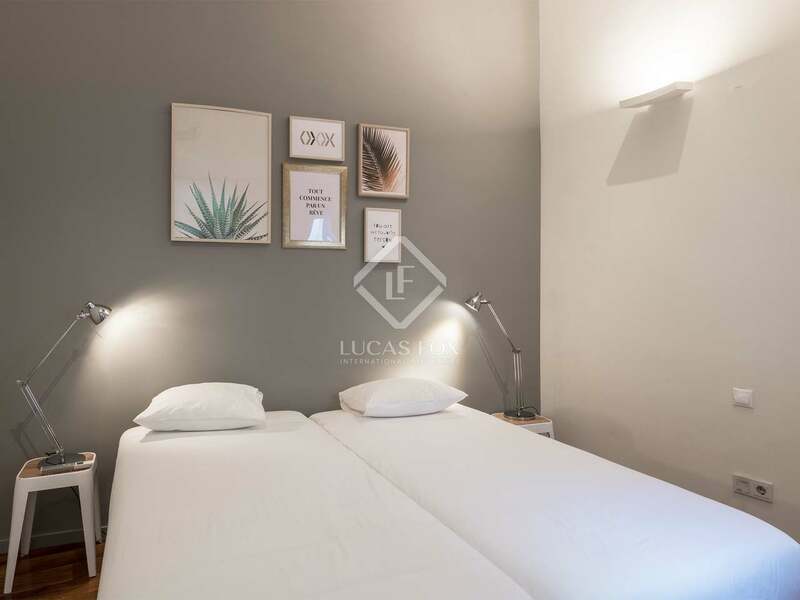 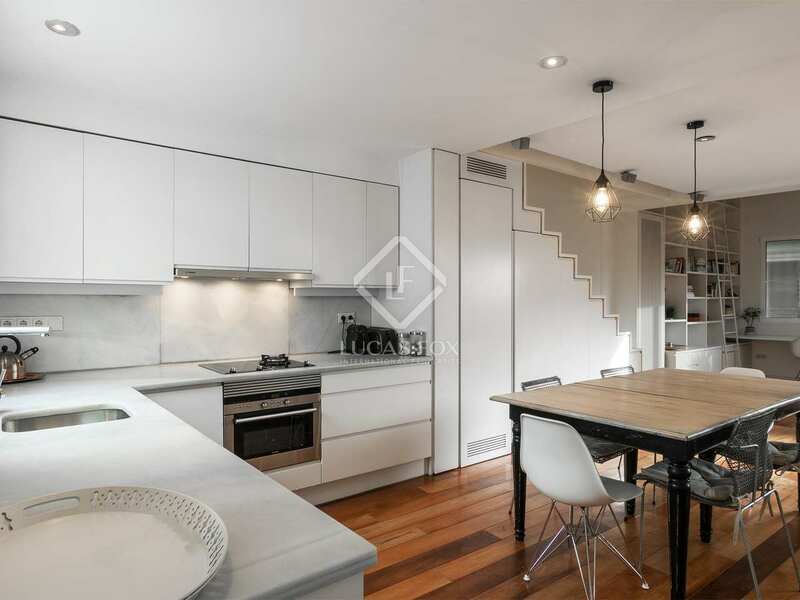 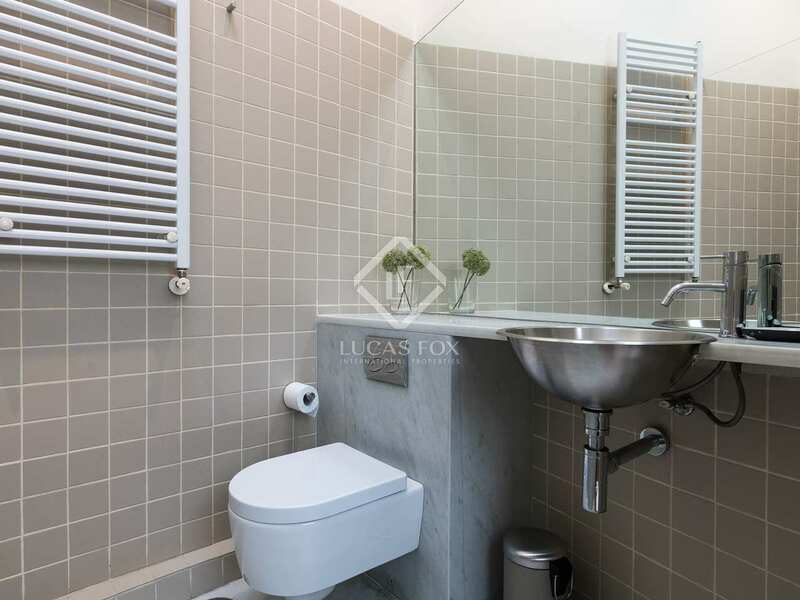 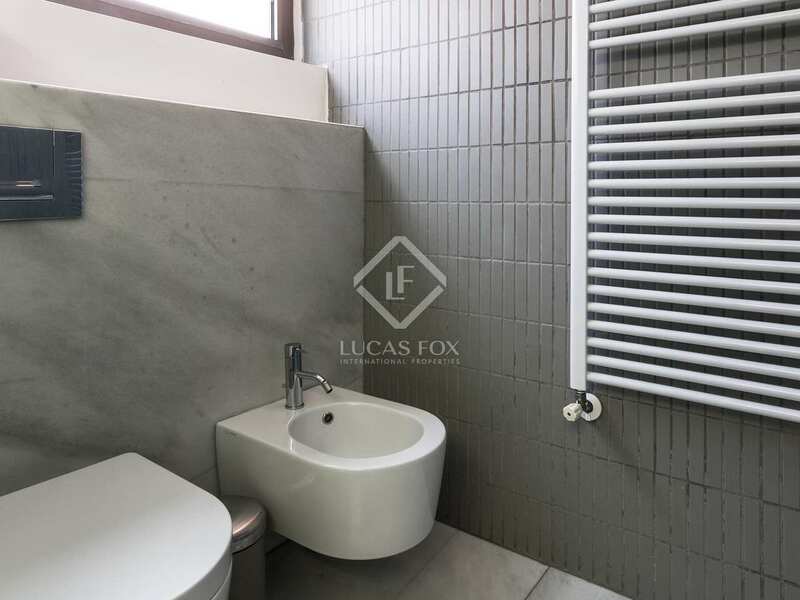 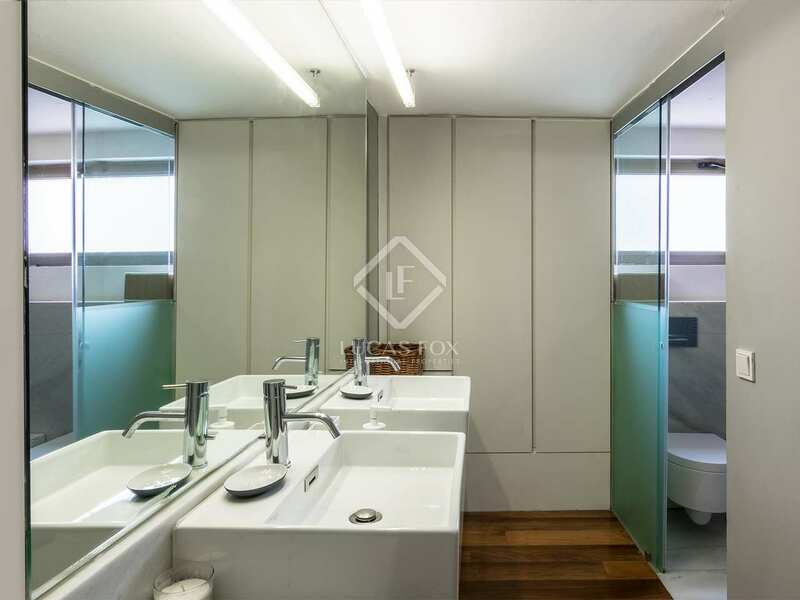 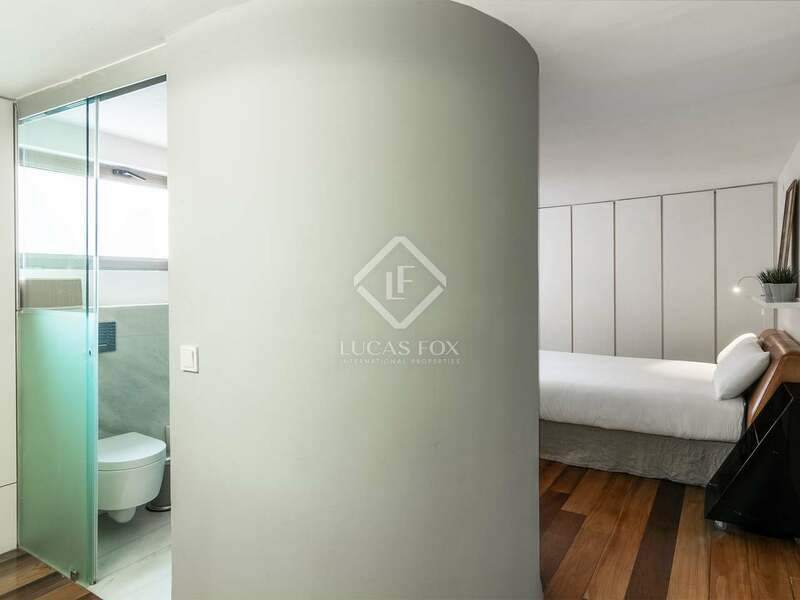 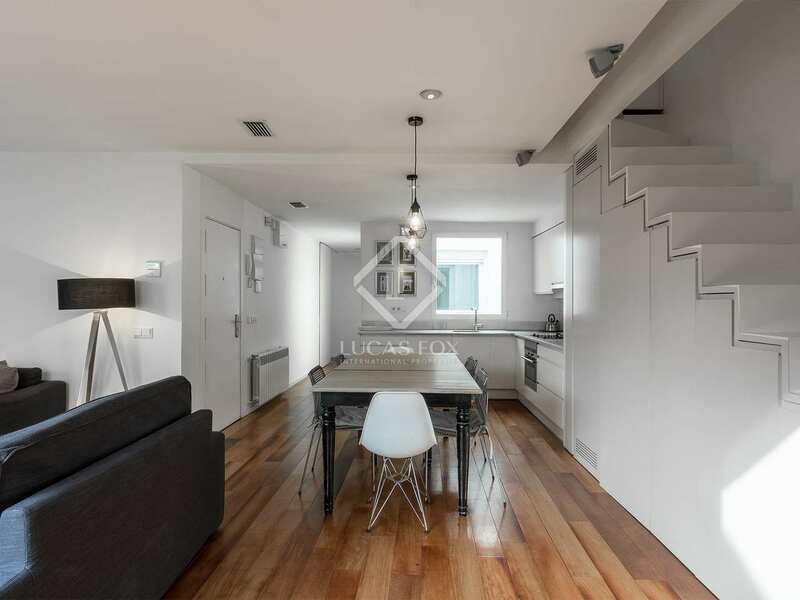 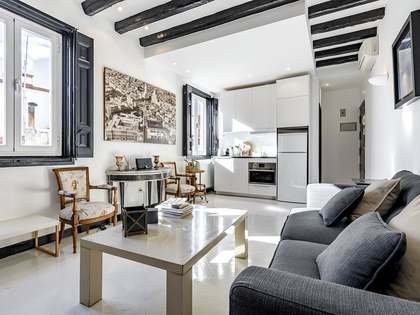 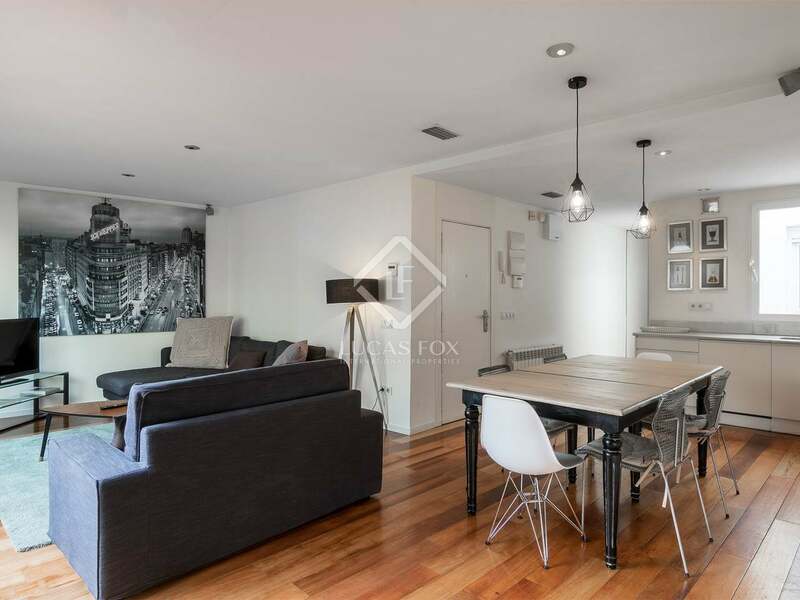 This bright modern duplex penthouse is located in Sol, in the heart of Madrid, surrounded by all kinds of services. Upon entering the property we find the spacious living room with an open kitchen and a study space. 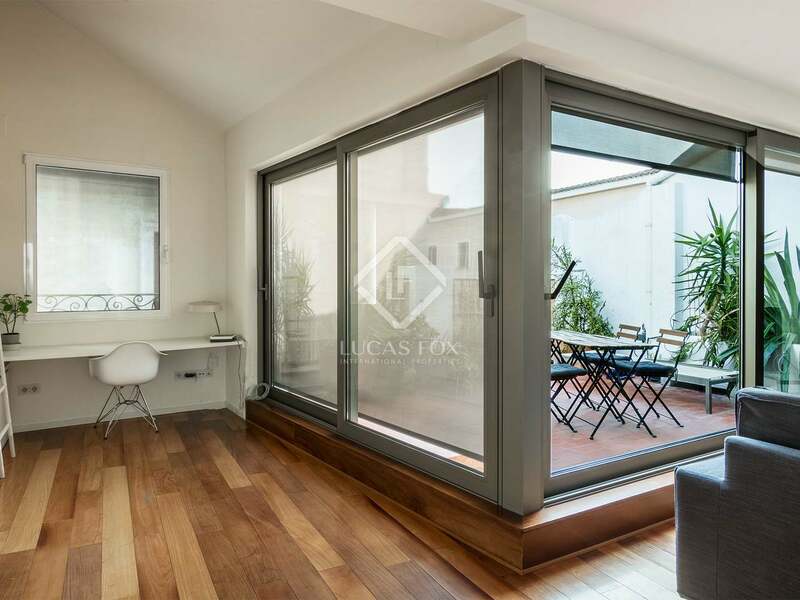 This room enjoys abundant natural light thanks to the large windows, which give way to a very large terrace with a hot and cold shower, as well as some plants, tables and chairs; ideal for a drink in the fresh air. 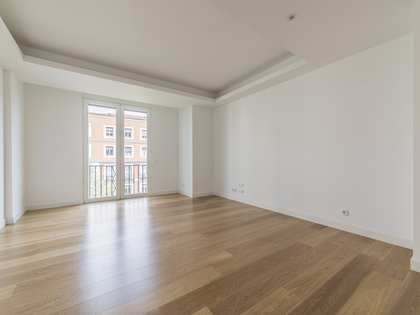 This same floor has 2 bedrooms, located to the left of the hall, one on each side. 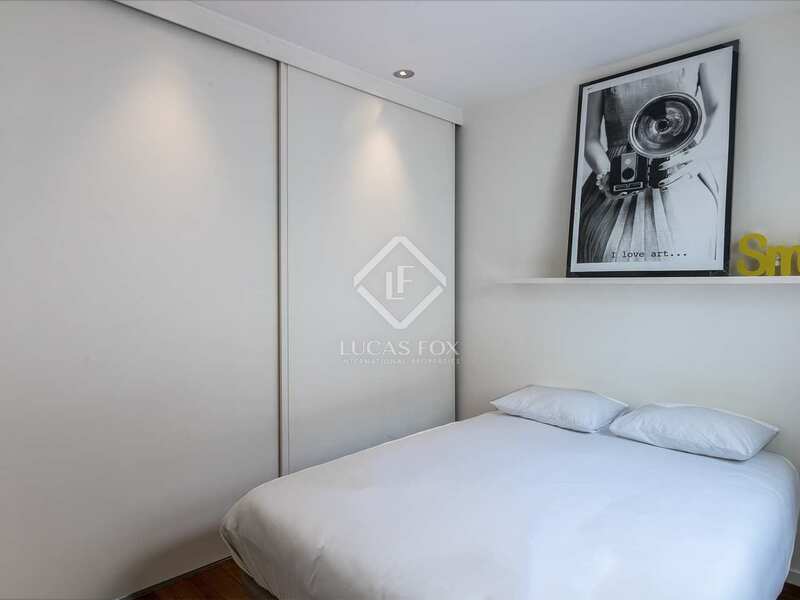 The bedroom on the right is double and has a bathroom with a shower and fitted wardrobes. 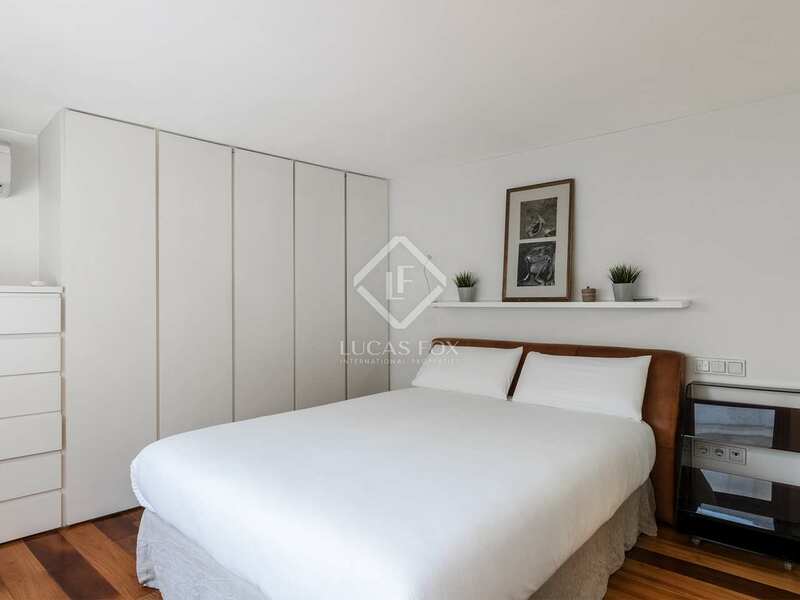 The other bedroom is also double and has fitted wardrobes. 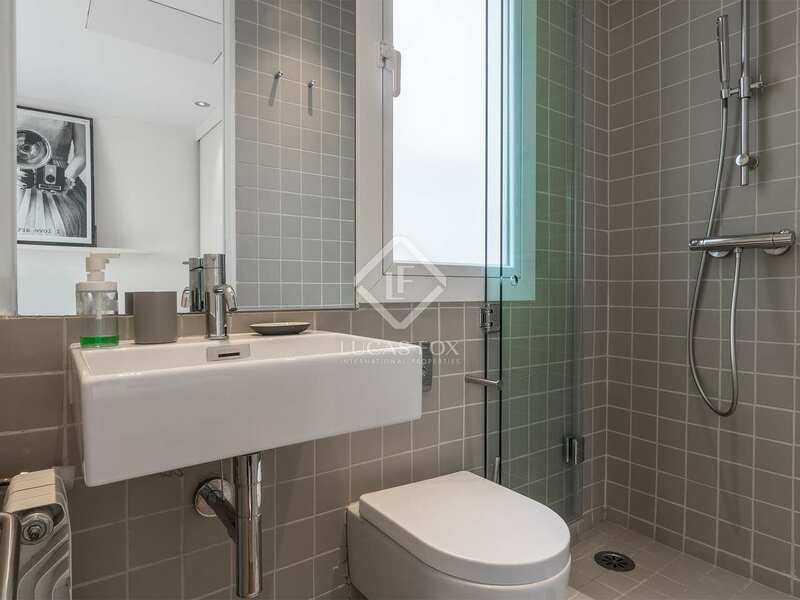 Before entering this bedroom, we find a guest toilet on the left. 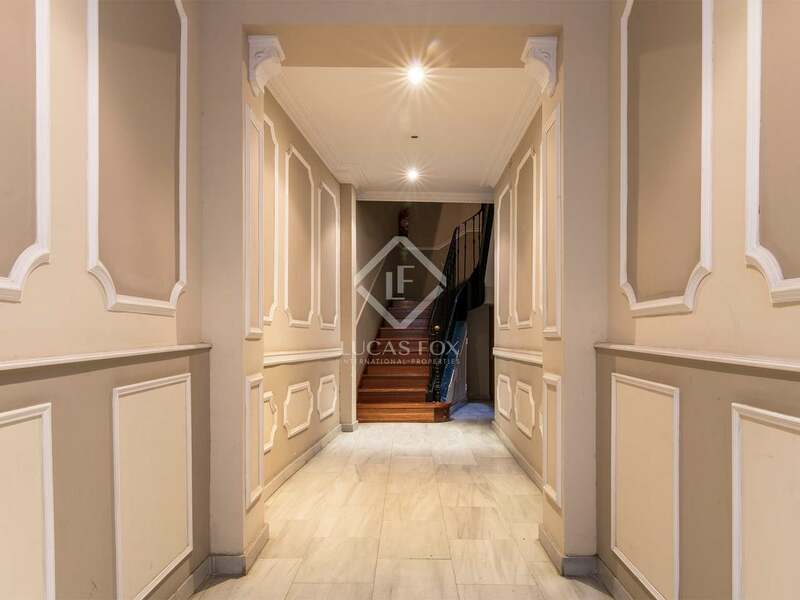 In the living room we find the stairs that lead to the upper floor. 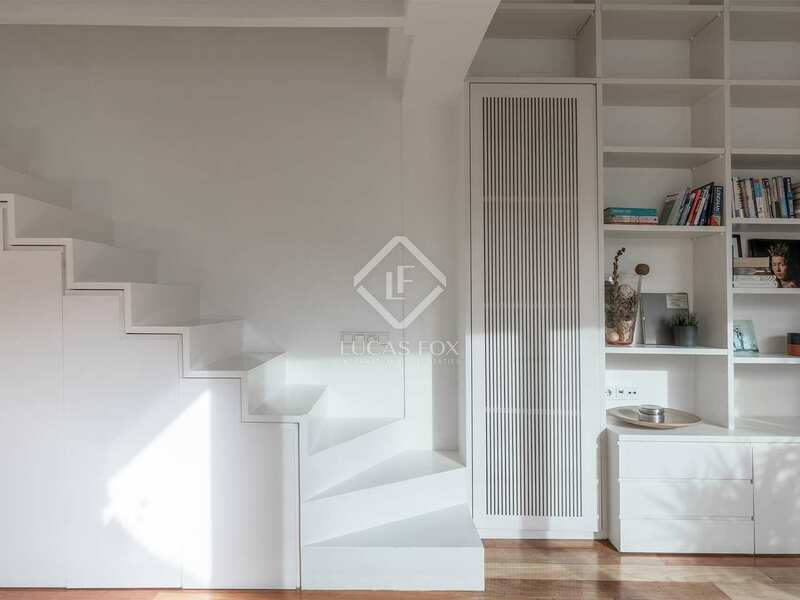 This practical staircase also functions as a closet, allowing you to make the most of the space. On the upper floor is the master bedroom, with its own bathroom with a shower and several built-in wardrobes. 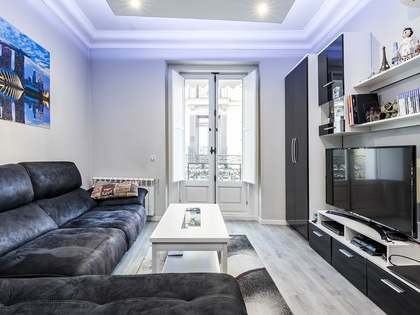 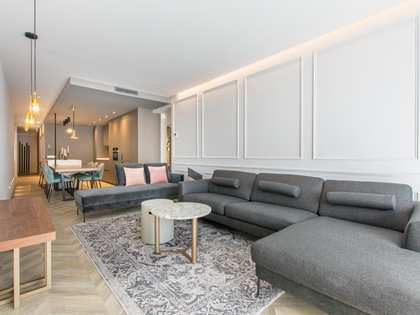 The apartment is presented with high-end finishes and has high ceilings, central heating and air conditioning ducts, apart from the top floor, which has individual air conditioning units. 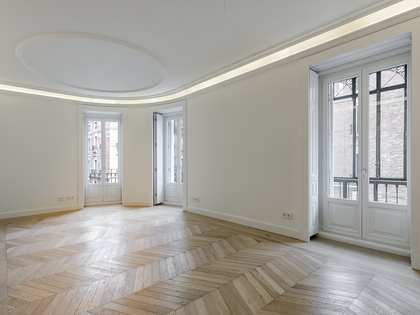 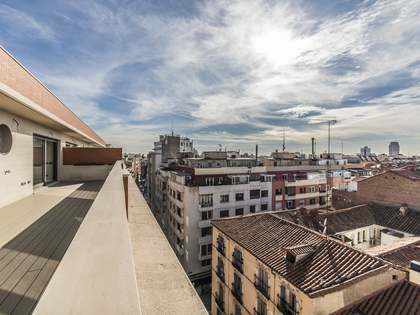 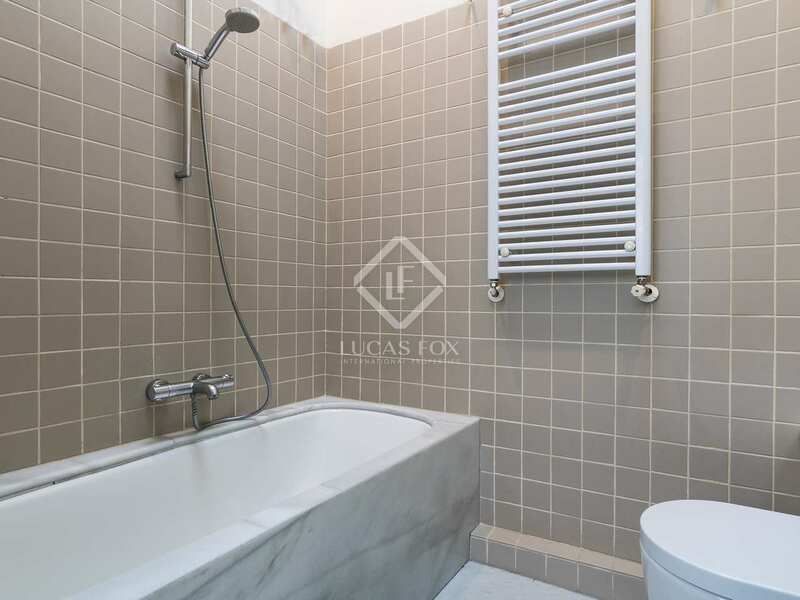 Do not hesitate to contact us for more information about this fantastic duplex penthouse in the heart of Madrid. 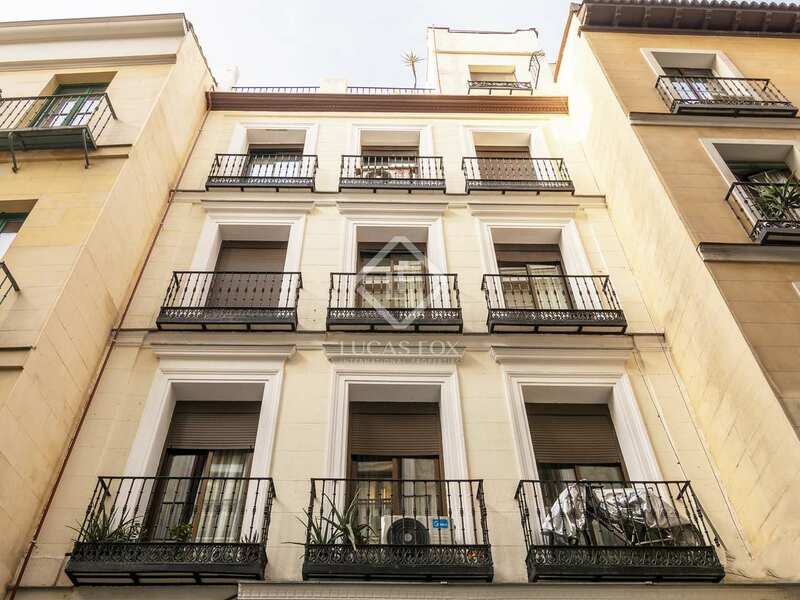 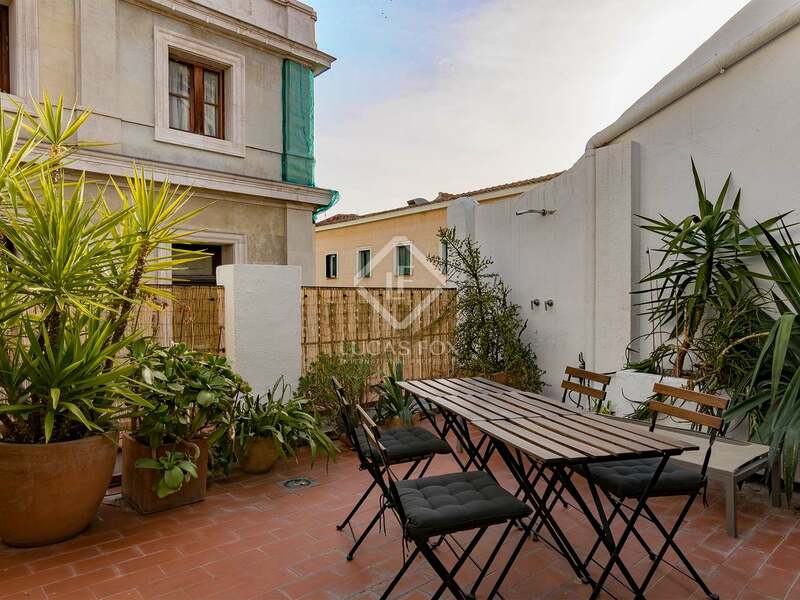 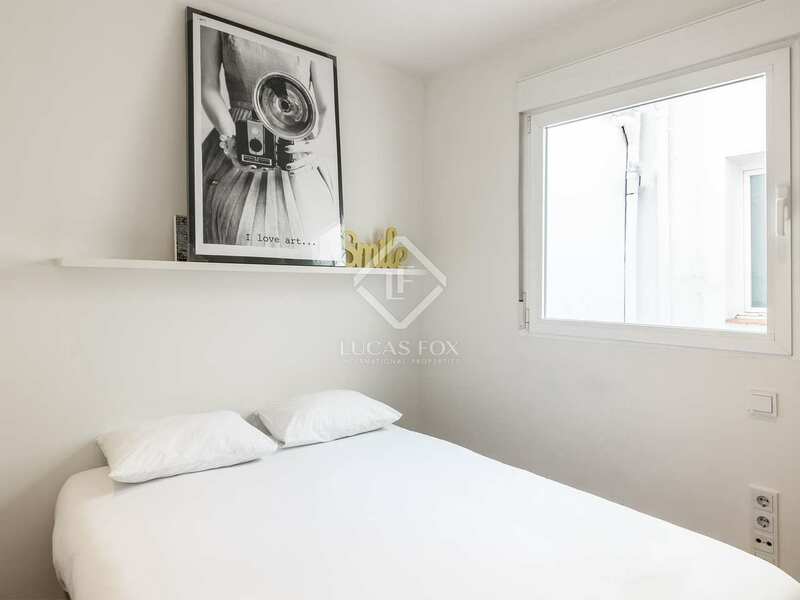 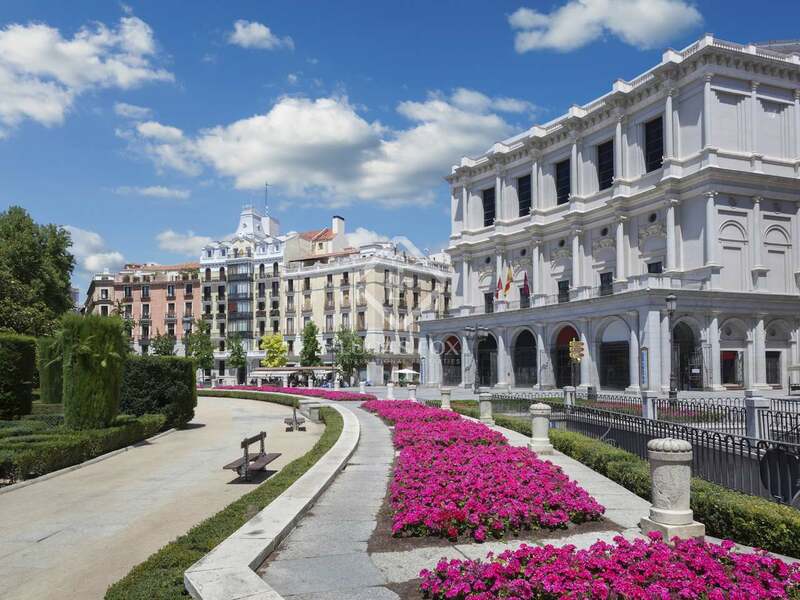 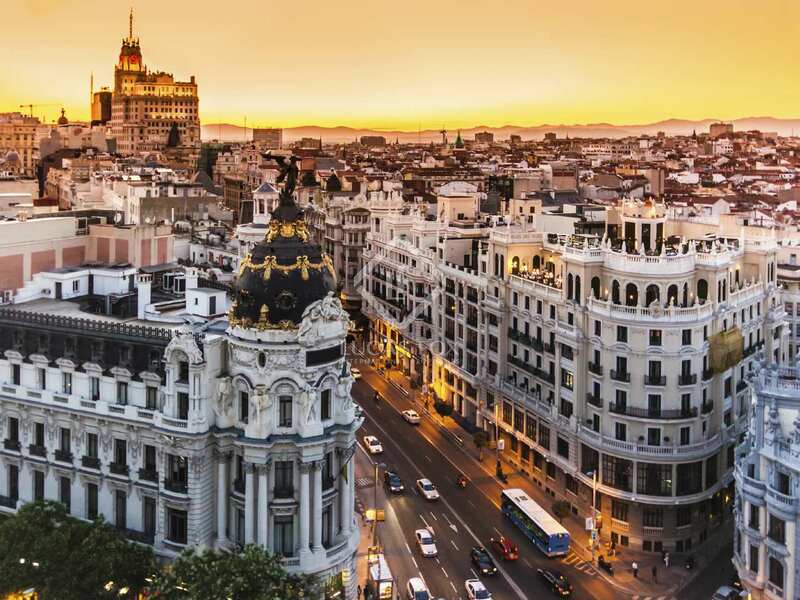 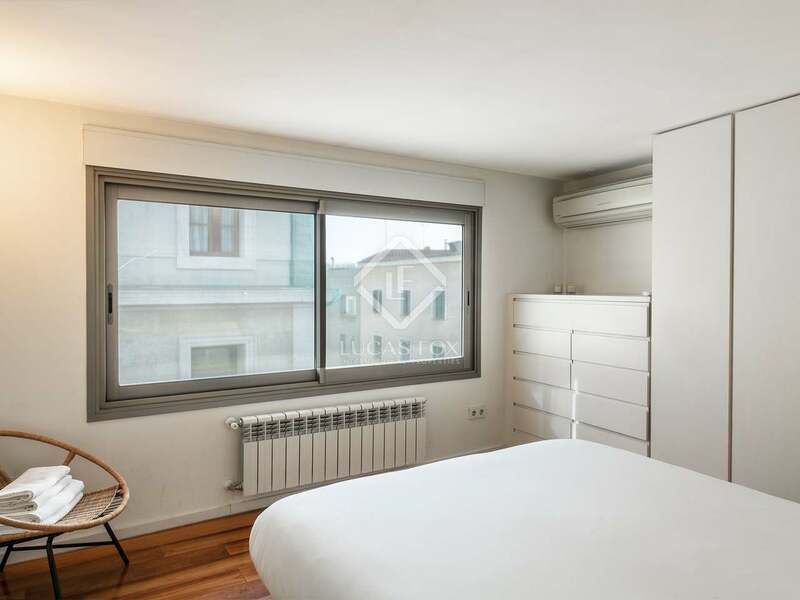 The duplex is located in the Sol area, at the very centre of Madrid. 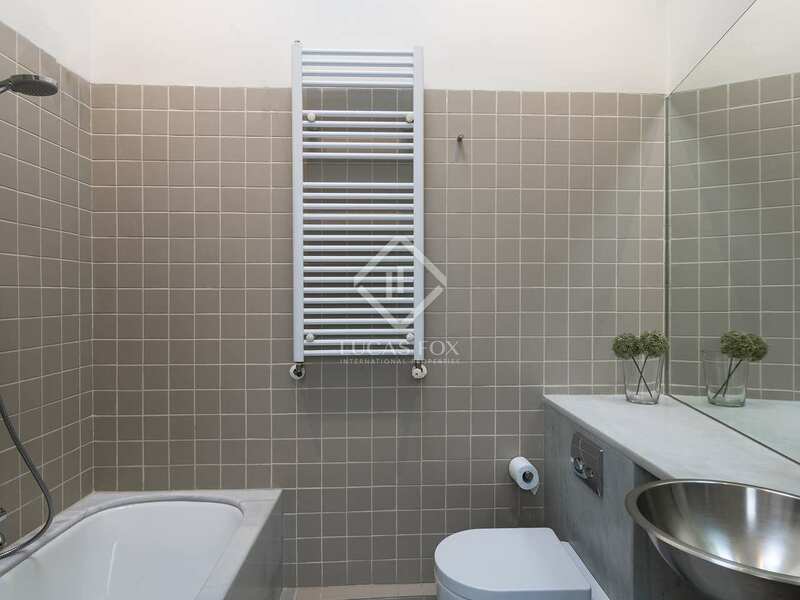 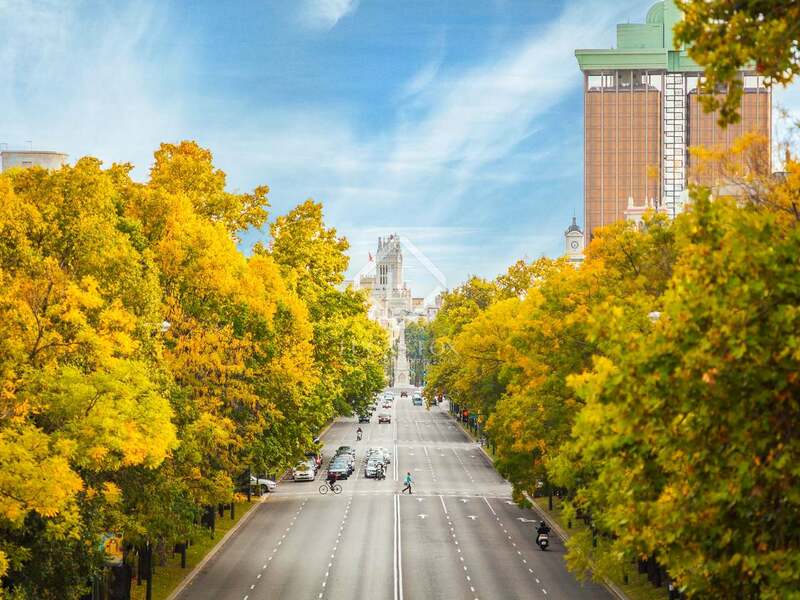 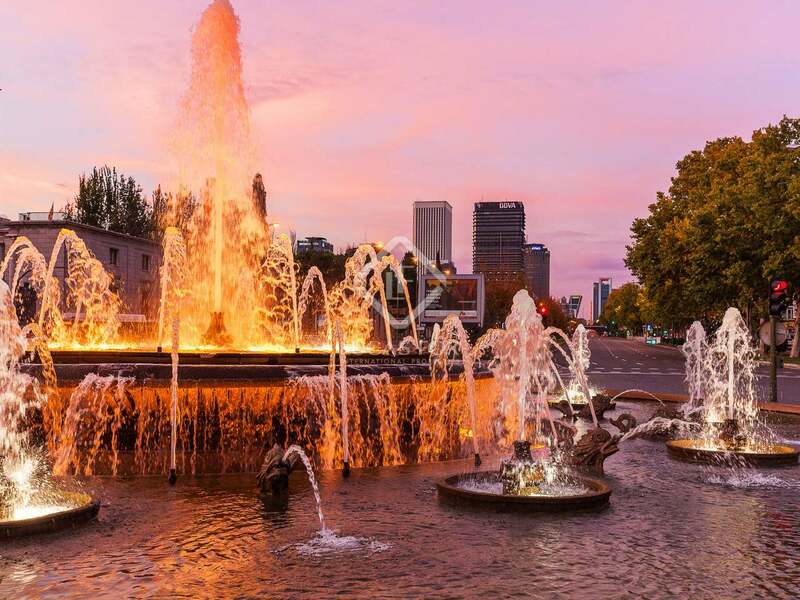 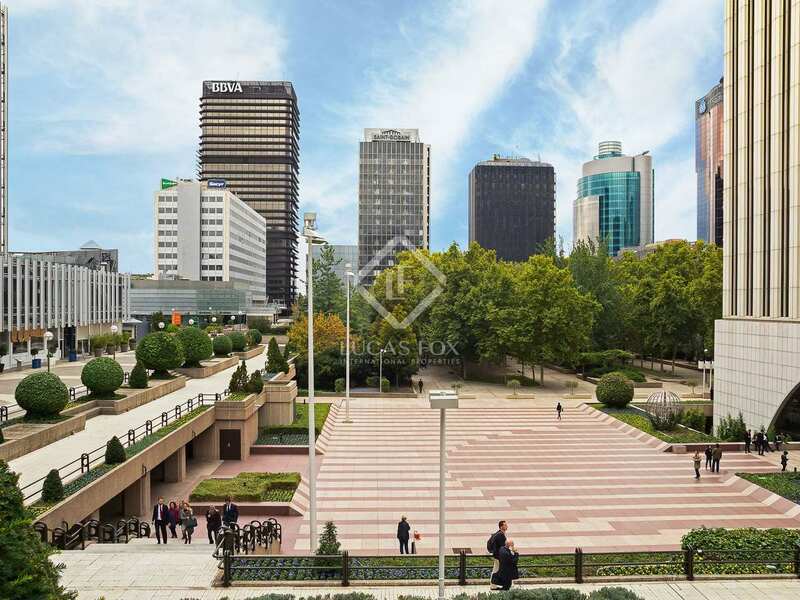 It is surrounded by all kinds of services and very well connected by public transport and with easy access to the main places of interest in the city.